A public relations consultant and several engineers from India attached to the Skeldon sugar factory have been sent packing by the government, according to Minister of State Joseph Harmon who says that they were not providing any valuable service to the ailing sugar industry. Their termination of service is part of a wider plan to ensure that GuySuCo’s expenses are lessened and money is saved. Harmon during his post-cabinet press briefing yesterday told reporters that those laid off “seemed to be doing nothing much as it relates to sugar and so I think the combined effect of those two groups amounted to almost US$14, 000 a month.” He did not name the PR consultant nor reveal the number of Indian nationals who were laid off. On June 3rd Dr Rajendra Singh was dismissed as Chief Executive Officer (CEO) and the entire GuySuCo board was asked to tender their resignations while an Interim Management Committee headed by former CEOs Errol Hanoman and Paul Bhim was installed pending a Commission of Inquiry. Asked when there will be a serious review of the sugar industry given that the cost of production far exceeds revenue from sales, Harmon said that the administration has indeed been told that it was wasting good money on a bad situation and this is an issue which it takes seriously. He said that it was due to this that a full inquiry into the sugar industry has been ordered. “It is not something that you wake up easily and make a decision that affects the lives of so many thousands of Guyanese people. Sugar is like the mother of the trade union and labour movement in this country and so it is not a decision that this administration will take lightly…” he said, adding that right now government is trying to “clean out that hole into which the money is poured”. He said that the Minister of Agriculture presented to cabinet some of the measures being taken with respect to reducing GuySuCo’s expenses. He added that the expenses column has since been brought down significantly. 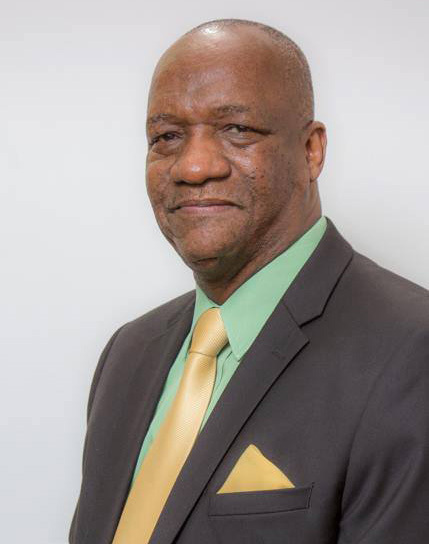 Speaking on the expected monthly income and expenditure of the corporation for the next few months, Harmon said according to the figures provided by the Minister of Agriculture Noel Holder expenditure would surpass income for the next few months. He also said that Holder indicated that in the request for funds the corporation has taken into consideration payments of wages and salaries and payments to the National Insurance Scheme (NIS) and the Guyana Revenue Authority (GRA). They also took into consideration the purchase of fertilizer for the first crop of 2016 and even so it is already late in its ordering of this vital input for sugar cultivation. Spare parts and fuel and lubricants were also included along with limited payments to some suppliers whose payments are overdue, he told reporters. For the period of August to December 2015, Harmon said that it is estimated that the corporation would make US$13.5M with its expenditure standing at US$19.5M, a shortfall of some US$6.4M. Harmon said the shortfall is attributed to mainly to the declining prices received for sugar which is particularly acute in the European market where 60% of sugar is sold. The income and expenditure for the period is being reviewed to determine whether income could be increased and expenditure reduced with further trimming of costs, he said. Meanwhile Harmon said that GuySuCo would be required to repay at least 60% of the bailout money given by government. He said that principle among the issues discussed at Tuesday’s cabinet meeting informed the decision to grant approval for the release of $3.8B as part of an overall application made by the minister for $16B for the rest of the year. According to Harmon, the Minister would have to return to cabinet as other disbursements of the remaining $16B requested are required and he would have to justify the disbursements. Harmon told reporters that it is expected that from the production returns at least 60% of that sum would be repaid to the government coffers. Cabinet, he said, insisted that the minister lead a “drive to ensure that we find better markets for our sugar and that the reliance on the European Union market must be diversified”. He said that Cabinet was briefed on a number of countries to which Guyana’s sugar is being sold. “We needed to have a better and deeper appreciation for those particular markets so that we can get a better price for our sugar”, he said adding that the price for the sugar being sold to the EU is not as attractive as it was in previous years.